7 Upcoming Festivals In & Around Delhi That You Just Can’t Miss! Delhi is probably the best place to be at, all the time. While the heat can be unforgiving, Delhi always welcomes everyone with its arms wide open. The city is always teeming with events and activities, so maybe you might want to bring your calendar out and block some days out too. Why? Only to attend these exciting festivals of course! Image: Delhi International Film Festival Considered to be one of the most prominent film festivals in South Asia, the Delhi International Film Festival is back with its 5th installment and will take place from the 3rd to 9th of December, 2016. It will take place at the Central Park and the NDMC Convention Centre, Connaught Place. Conducted by The Social Circle in association with the Government of the National Capital Territory of Delhi and Delhi Tourism, this film festival is a treat for every movie-buff and is something you should definitely go to. Last date to submit entries is August 30th, 2016. If you have never attended a Qutub Festival before, make it your life’s mission to attend it this year. The Qutub Festival takes place in the Qutub Complex and focuses on Sufi and Classical music and dance. People throng from all over India to attend this magical concert. It is jointly organized by Sahitya Kala Parishad along with the Delhi Tourism and Transport Development Corporation. The festival is slated to start on the 15th of November and will go on till the 19th of November, 2016. Also read: Long Weekend, No Plans? 10 FUN Things To Do In Delhi! 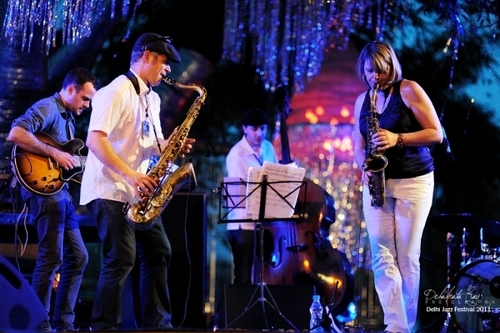 Image: Jazz In India This year will see the 6th edition of the very popular International Jazz Festival in Delhi. It will take place at Nehru Park, Chanakyapuri on the 24th, 25th and 26th of September, 2016. The name of the fest is quite self-explanatory, but if you still need some convincing, just keep in mind that you will be miss out on three full days of pure, soulful jazz music. You definitely don’t want to miss out on that now, do you? Delhi winters can be beautiful and cozy in their own way. It’s that time of the year to hopelessly roam around and eat a lot of food. However, if you want to see some snow and enjoy some ice skating then you should definitely head to Shimla. The extremely famous ice skating carnival is Shimla’s pride and boasts of the biggest ice-skating rink in the whole country. The festival has been taking place for the past 60 years and is organised by the Ice Skating Club. A little far away from Delhi, yes, but the journey will be completely worth it. The final dates haven't been announced yet for the festival but it takes place sometime in December and goes on till February. Image: India Trade Fair You know how when you hit a beach and you can see the ocean as far as your eye can see? 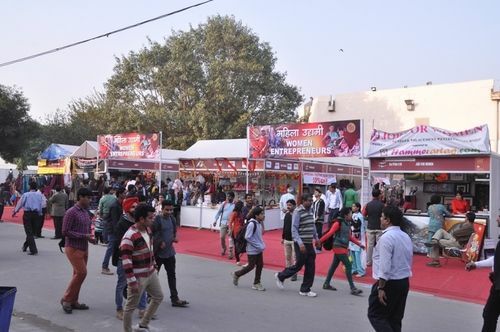 Well, the India International Trade Fair won’t be any different. It will be brimming with stalls of everything you can ever imagine. Food, fashion, crafts, decor...you get the gist, yeah? It does sound a little overwhelming. But don’t let that bog you down because it goes on for 13 days! You can always come back and scan every corner, one at a time. It is organized by the Department of Scientific and Industrial Research and The India Trade Promotion Organization and was first started in 1997. It will take place at the Pragati Maidan Grounds from the 14th to 27th November, 2016. While we are a little too early for this one right now, we are just going to give you a heads up for next year. It is slated to take place next year in Pragati Maidan from the 7th of March to the 11th, 2017. 31 years and running, this festival attracts people from all over the world and if you are one who is interested in the hospitality business (or even just food! ), we suggest that you definitely go for this one. Also read: 10 AWESOME Weekend Getaways You Can Plan From Delhi! 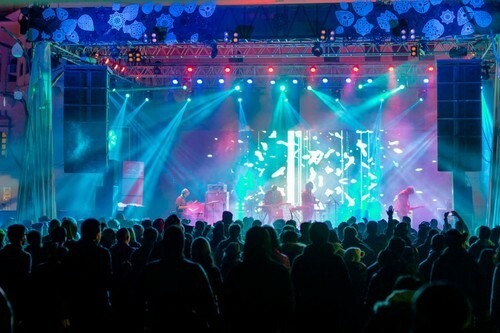 Image: Magnetic Fields If you are a music lover (which we assume you are), then Magnetic Fields is a one hell of a music festival that you should never miss out. Book your tickets to go to the Alsisar Mahal in Rajasthan for this one of kind, energy-fuelled festival. Fly kites, dance the night away and attend all the secret parties.The festival is set to take place from the 9th to 11th of December, 2016. You have enough time to plan everything out, so don’t tell us we didn’t give you a heads up! Drive down to Rajasthan, live a little and come back to tell the world (or just us!) your experience about the festival.